What was once a ghost town post work-day, the Financial District is quickly becoming a popular spot for delicious restaurants. Thanks to hotel openings, the new World Trade Center complex, and construction projects – there has been more opportunities to explore restaurants and nightlife. Here are some of the best new restaurants in the Financial District. 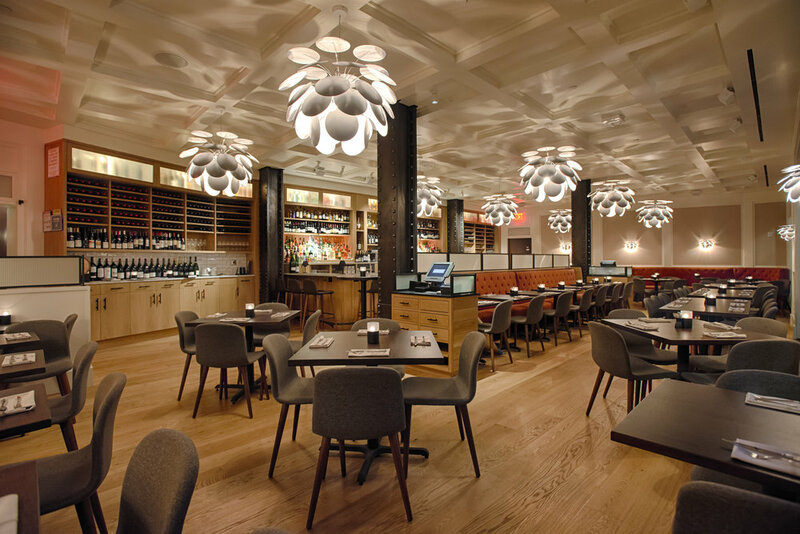 Blue Ribbon Federal Grill opened earlier this year thanks to the Bromberg Brothers. The restaurant is close to the Federal Reserve and serves a menu of meat and seafood dishes along with delicious cocktails, wine, and beer. 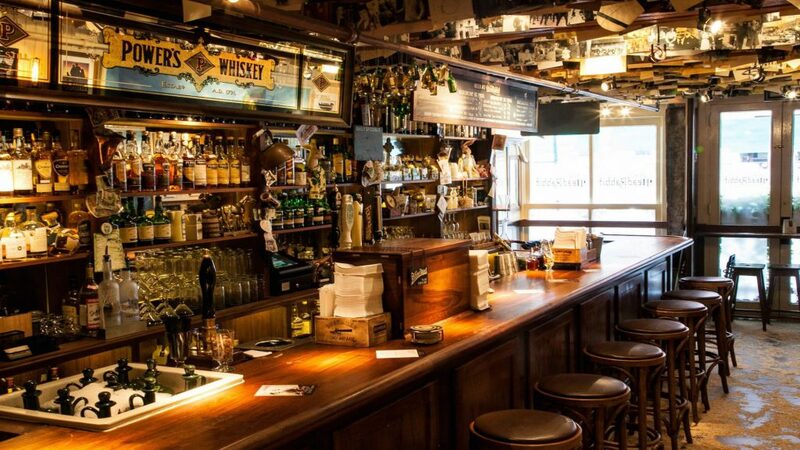 Dead Rabbit is the Financial District’s favorite Irish pub. The pub serves up killer cocktails and delicious food menu. Their dinner menu features dishes like poached shrimp cocktail, bar snacks, baby lamp chops as well as larger plates like the “Dead Rabbit Burger,” Lamb Shepherd’s Pie and fish and chips. Their known for their extensive cocktail list, whiskey, wine and champagne. 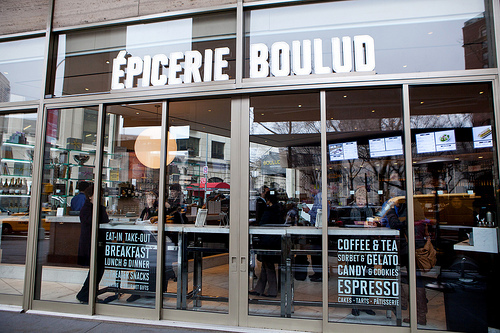 Chef Daniel Boulud’s third eat-in and take-out café in New York City, Epicerie Boulud is a great grab-and-go spot to grab a made-to-order sandwich or salad for lunch. If you’d like to stop in for dinner, expect oysters, wine, or other light appetizers. They also offer office catering and gift boxes. This Austrian-themed, Mediterranean-infused restaurant is the sister restaurant to a couple other favorites – Edi & the Wolf and Freud NYC. 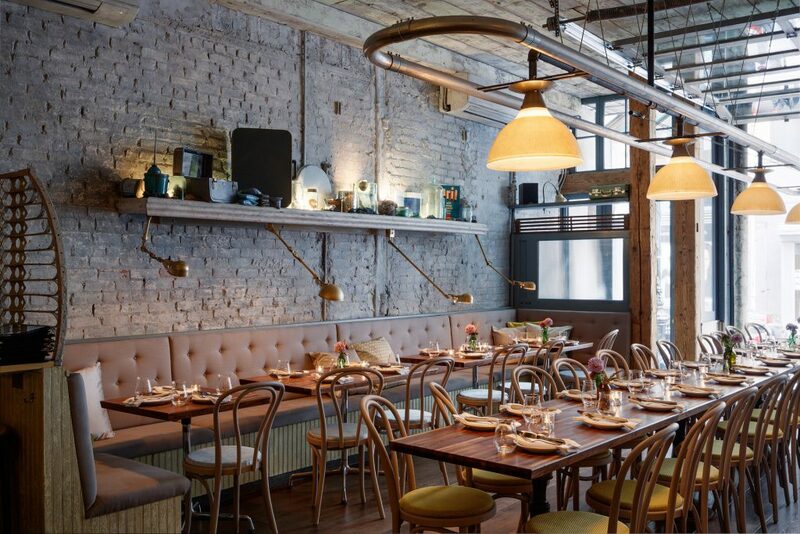 Schilling features signature Austrian dishes like weiner schnitzel, chicken liver, beef tartare, and duck breast. It also features a wide selection of cocktail. 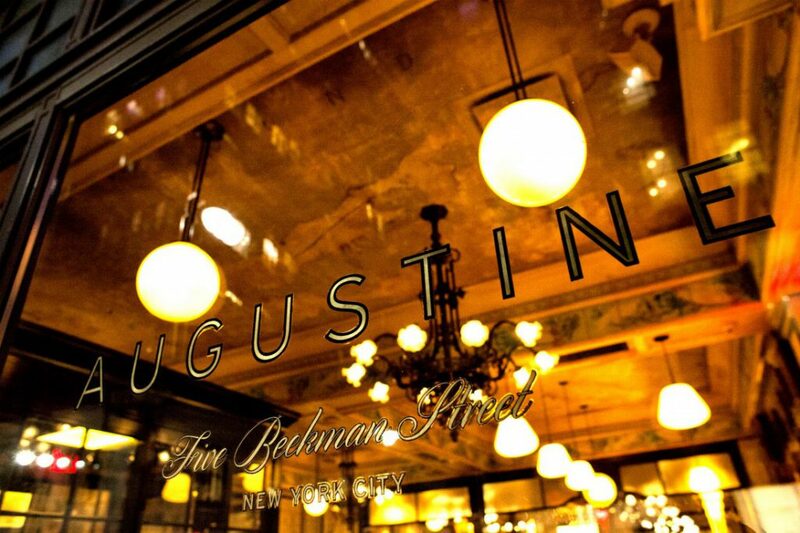 Keith McNally, famed restaurateur and owner of Balthazar, Minetta Tavern, and Pastis, opened his first hotel restaurant, Augustine. 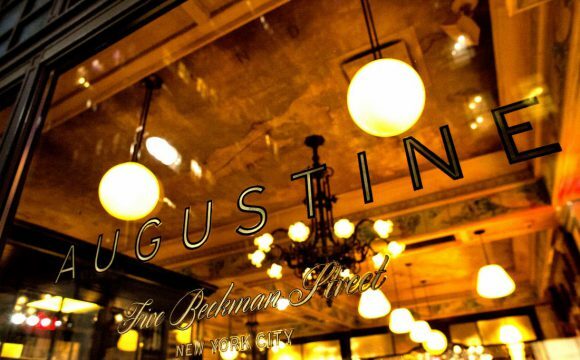 Located in the Beekman Hotel, the restaurants boasts a menu of French-inspired dishes like Leg of Lamb, Duck A L’Orange, and Farm-Raised Chicken along with appetizers like oysters on the half shell, steak tartare, and more. Augustine also features a list of cocktails, liquors, and beer. What are your favorite spots in the Financial District? Let us know in the comments below!